A.M.I.S. has a highly qualified technical and commercial staff with proven experience, extremely attentive to customer needs. Each plant requires a careful analysis of the performance required to allow a reasoned and specific choice of each of the components used: pumps, valves, hydraulic and electrical accessories. The AMISYSTEM and AMISFIRE fire-extinguishing systems are designed and manufactured to meet the specific needs of the customer, avoiding the need for standardization of the components, which would not allow the optimal technical response to these needs. 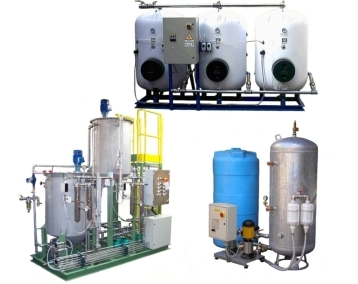 In addition to the water pressurization groups for autoclave and fire-fighting systems, we design and manufacture pressurization, filtering, mixing and any other groups according to the customer’s needs. Our technicians, in defining the essential requisites and in the design of the system, collaborate with the client, or with the technical office that assists him, to identify the best solutions and to implement them in the most effective way possible. We are available to perform inspections on the site of destination of the plant for the choice of the best technical solutions for installation and commissioning. All our production groups are subject to finalization and final testing at our workshop, in the presence of the customer if requested, with the release of the relative test certificates. We provide all customers and technical studies with whom we collaborate consultancy and free estimates aimed at creating a product suitable for every need and responding to specific requests. We carry out inspections with our customers to choose together with them the best technical solutions and to personally verify the actual problems that may arise when the system is installed. Our products are supplied with all the accessories necessary for the correct functioning and the implementation of the system and are carefully tested and preset to allow simple activation. 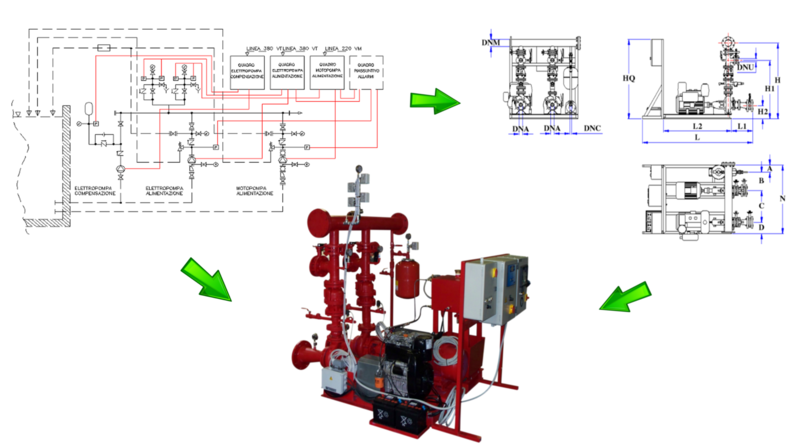 Since 1953 we have been involved in the design and production of hydraulic systems and water pressure pressurization systems for fire-fighting systems for civil and industrial use. We are convinced that each plant requires careful analysis and a targeted and specific choice for each component used, from pump to valve, to hydraulic and electrical accessory. We provide free advice and quotes to create a product that suits every need and meets the specific requirements by also performing surveys to choose the best technical solutions with Customers.